Families are often focused on the long-dreamed of big goals of higher education and/or a job. Proactive teaching of daily living and “me management” skills reduces the likelihood that these big goals will take a back seat because foundation skills were not in place. Starting before high school, parents can implement a roadmap to support the acquisition of daily living skills including meal prep, laundry, medication management, budgeting, event planning, and routines. Teens and young adults also need skills teaching to establish habits that maintain emotional and physical well-being and strategies for creating a meaningful social life. They need support to manage common co-occurring conditions including anxiety, depression, and ADHD. These foundation skills are established by phasing out supports over high school. Assume nothing – true skill mastery can be evaluated with a “final exam” conducted at home or in the community. When children leave home and high school, parents confront an abrupt change in their role as manager, advocate, and often, close companion and chief cook and bottle washer. Transition staff and the college disabilities office are less accessible than the child study team case manager; ADA-based legal rights differ dramatically than those supported by IDEA. Young adults themselves often have difficulty establishing an appropriate routine of communication with their parents. Anxious young adults may text or phone their parents several times a day whereas others may suddenly drop off the planet or communicate erratically. Mitch Nagler, director of the Bridges Program at Adelphi University, remarks, “It is often far more difficult for parents as they are faced with the loss of communication and sense of control that they had from K-12.” Preparing for the shift from IDEA to ADA and setting up a plan of parent-student communication prior to entry will increase everyone’s confidence and smooth the transition. The plan can include more contact at the start of the transition, with scheduled tapering over subsequent weeks. This helps everyone prepare for the change, sends a loving message, and is a great opportunity to role model the executive function of planning ahead. Transition programming is much more likely to succeed if families and professionals communicate effectively about goals and expectations and locate realistic alignment before and at the start of transition programming. Goals typically revolve around academics, career, social and emotional skills, and selfhood. More simply, parents have a deep desire to see their son or daughter happy, healthy, and as independent as possible. The admission process focuses on discovering what parents and young adults want and expect and at every subsequent phase, alignment is carefully monitored and managed. Are parents’ and young adults’ goals and expectations aligned? Are these expectations, in turn, aligned with the transition program’s best estimate as to what can be accomplished? Goal alignment is a team effort that is crucial to success. Feelings are contagious. Nagler remarks, “If the parent’s anxieties are felt by their student, then it is likely that the student will become more anxious as well.” He advises parents and transition staff to commit together to establishing a trusting relationship and to encourage their son or daughter to develop a trusting relationship as well. If a trusting relationship cannot be established, the team needs to ask why, as success rests on this foundation. It is an accepted fact that a 4-year degree improves employment outcome. Also true is that young adults with mild ASD face steep challenges in higher education. Research has found that a third of high school graduates with ASD will enroll in college1 but that at 5-years after HS graduation, only about 20% of these had earned a degree.2 A separate set of studies demonstrated that the majority of college students with ASD (80%) enroll in 2-year programs; those majoring in STEM fields were more likely to persist and twice as likely to transfer from 2- to 4-year institutions than their non-STEM peers.3,4 Another critical set of facts concerns an individual student’s personal life story. Was college or employment attempted in the past? What happened? What worked and what didn’t? If a previous college experience was unsuccessful, what has changed? Often it is wise for the team to agree on a modest “experiment” to test out college-readiness such as enrollment in a single online or campus course. While relevant research data is still woefully limited, these and personal facts should be considered in goal planning. Michael Noel, regional director for College Internship Program’s California centers remarks, “Students’ attempts to self-advocate are sometimes foreign to parents, and misunderstood.” Often a young adult will assert themselves with a choice related to academics, spending, or dating. The transition experience will go better if parents acknowledge the healthy initiative toward self-advocacy and identity that the choice represents, and are supported to consider the choice on multiple levels. Separation from a son or daughter with special needs triggers parents’ intense, hard-wired drive to go into protection mode. Sharona Somer, director of Family Services at College Internship Program, comments, “Teams can work together to support parents to attend to what their instincts tell them but to also consider reframing those messages. The separation can feel like a danger or an obstacle but it is also a gift or opportunity for young adults to forge a new, interdependent relationship with their parents.” In an effective transition program, parents feel safe to reorganize their relationship to their worries, relinquish some of the responsibility, and take the opportunity to replenish their own reserves. Most of the time our expectations for ourselves and our loved ones shifts slowly. At other times, events rudely jolt us into a new reality. Successful transition programming supports parents to be ready for unpredictability and the unexpected twists and turns that occur when a young adult begins to experience the satisfaction of taking the helm. It is important to remember that progress is usually non-linear. The road is bumpy, winding, and often smothered in a dense fog. Transition experts encourage parents to get help wherever they can, whether by connecting with other parents who share their experience or seeking support from a local mental health counselor. These venues offer a sounding board from sympathetic but objective others. 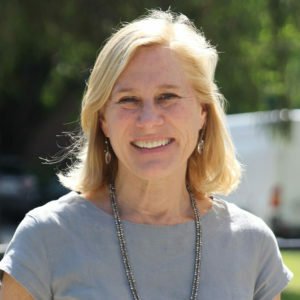 Elizabeth Roberts, PsyD is National Director of Clinical Support Services for College Internship Program (CIP), a comprehensive transition program for young adults 18-26. For more information, visit www.cipworldwide.org. Shattuck, PT et al. (2012) Postsecondary education and employment among youth with an autism spectrum disorder Pediatrics June 129 (6): 1042-9. Vanbergeijk E, Klin, E, & Volkmar F (2008) Supporting more able students on the autism spectrum college and beyond. J Aut Dev Disord 38(7): 1359-70. Wei X, Christiano ER, et al. (2014) Postsecondary pathways and persistent for STEM versus non-STEM majors among college students with an autism spectrum disorder J Aut Dev Disord 44(5): 1159-67. Wei X, Yu, WJ, et al. (2013) Science, Technology, Engineering, and Mathematics (STEM) participation among college students with an autism spectrum disorder J Aut Dev Dis 43(7): 1539-1546.